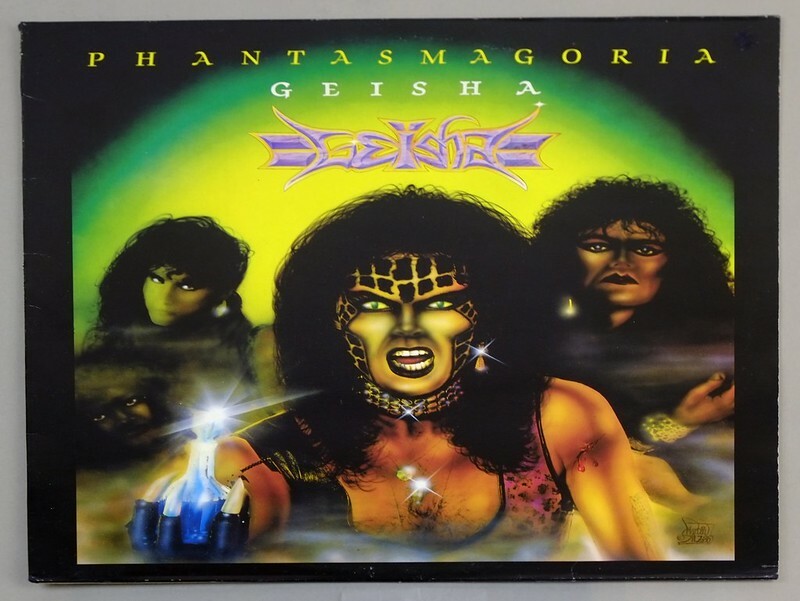 This album "GEISHA Phantasmagoria" Geisha is by the Danish Heavy Metal band with a touch of glam. 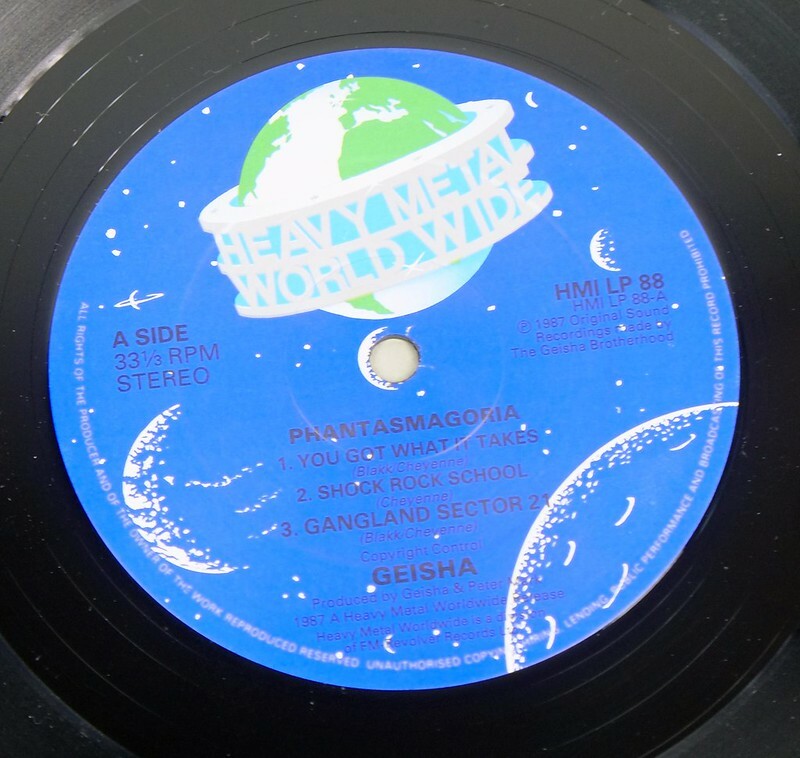 GEISHA was Heavy Metal band from Denmark (1985-1988) during this period they recorded three demo's and one full length album. 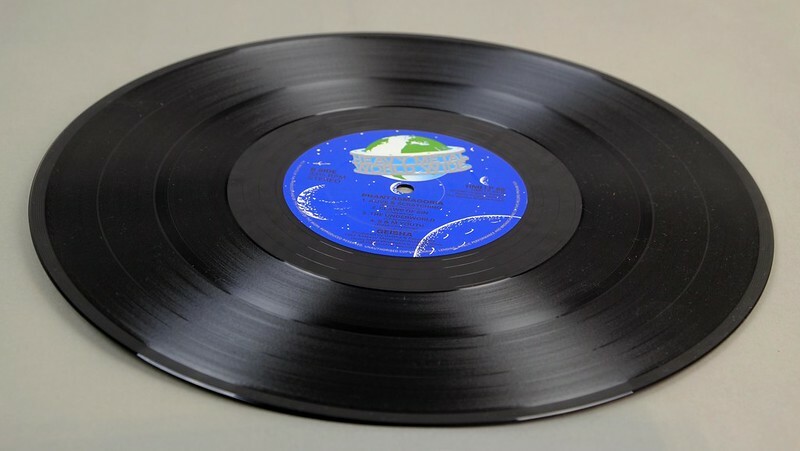 "Phantasmagoria" is there one and only officially recorded and released album. 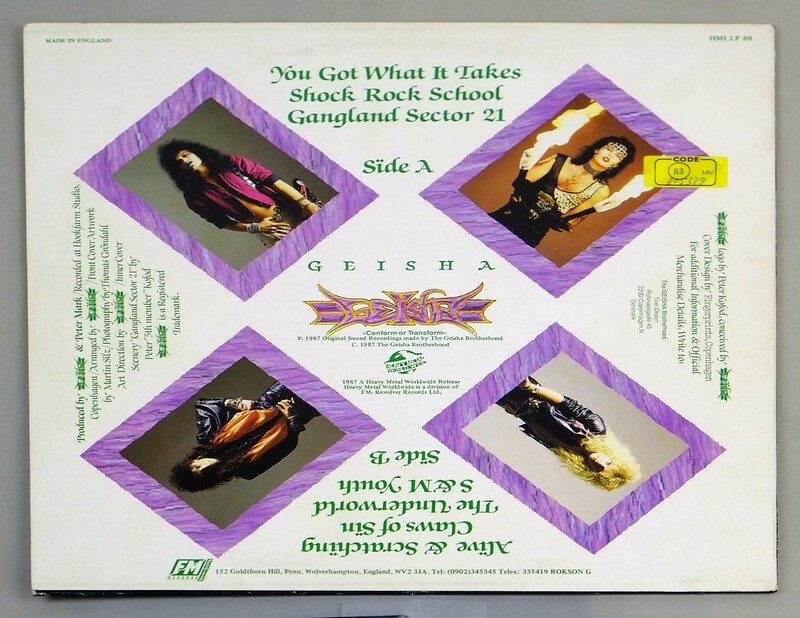 The GEISHA band is interesting as it marks the beginning of the career of "Pete Blakk" and "Hal Patino" who later joined "KING DIAMOND" and "BLAKK TOTEM". High Quality Photo of Album Front Cover "GEISHA Phantasmagoria"
Album Back Cover Photo of "GEISHA Phantasmagoria"
Pete Blakk has many years of experience by playing in Danish and Swedish Heavy Metal bands. After Geisha split-up he joined "King Diamond" followed by "Blakk Metal"
Tony Niemistö (Drums) used aliases like 'Tony "Pippi" Niemistö', "Tony Reno" to play with various bands in Sweden and Denmark, before he joined "Geisha". After the split of Geisha in 1988, he joined (together with Jens Arnsted) the bands Yenz and =Y=. Hasse "Hal" Patino (bass, guitars) is one of the cornerstones of the development of Heavy Metal from Denmark. He performed as Hasse "Hal" Patino in the band " Maltese Falcon ", before joining Geisha in 1988. After the split of Geisha he went together with Pete Blakk to join the King Diamond band. 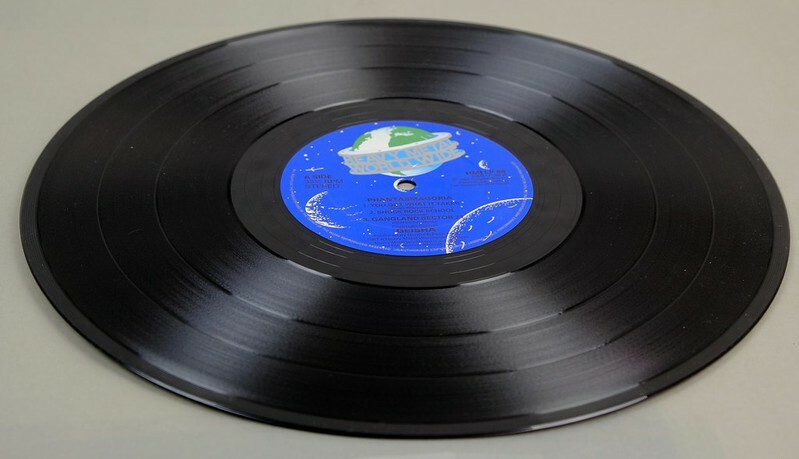 Complete Track-listing of the album "GEISHA Phantasmagoria"